Facebook has been embroiled in a ton of controversy in the past year, but the recently disclosed security lapse, which could have compromised the data of up to 50 million users, has once again turned on the spotlight on whether Facebook cares enough about privacy. As users all over the world are affected by these data privacy scandals, there are many who want to leave Facebook, following reports of hackers getting their hands on a huge number of user accounts. It’s definitely scary to think that someone could have access to your login info, so you are right to be worried. If Facebook’s latest security lapse has sent you into a panic, and you are planning to permanently delete your account then you’ve come to the right place. 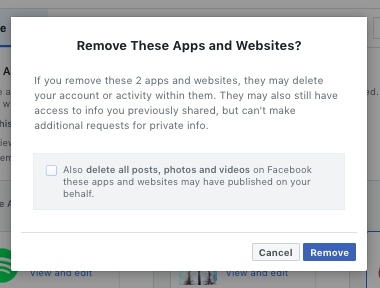 Here’s how you can delete your Facebook account and get rid of all your Facebook data. So, buckle up and get ready to leave behind your Facebook days. 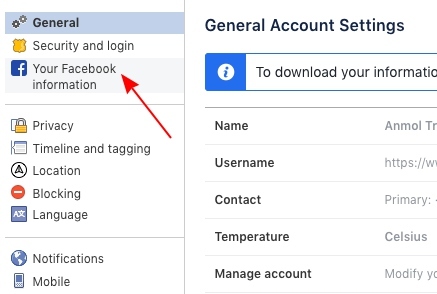 The first step before you delete your account is to create a backup of all your Facebook data and download it onto your computer or mobile device. This will let you to hold on those precious status updates, photos, videos, messages, friend list and everything else you did on Facebook, so think of this as a memory bank for your social media life. 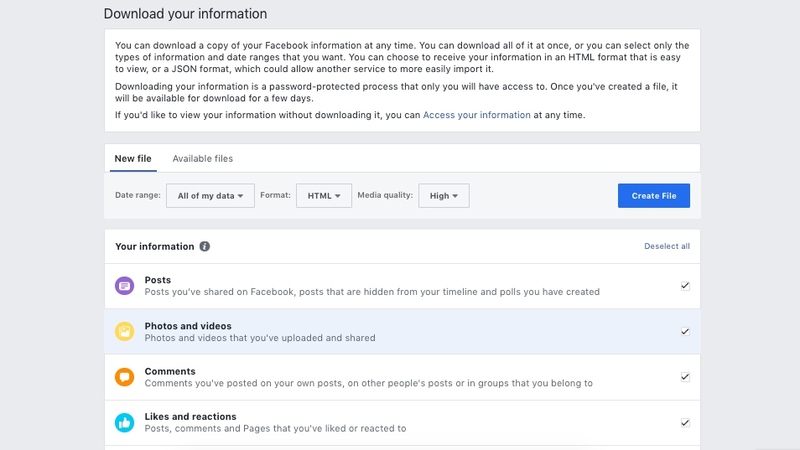 To download your Facebook data, you need to navigate to Settings > Your Facebook Information” and select the ‘Download Your Information’ option to get your backup. 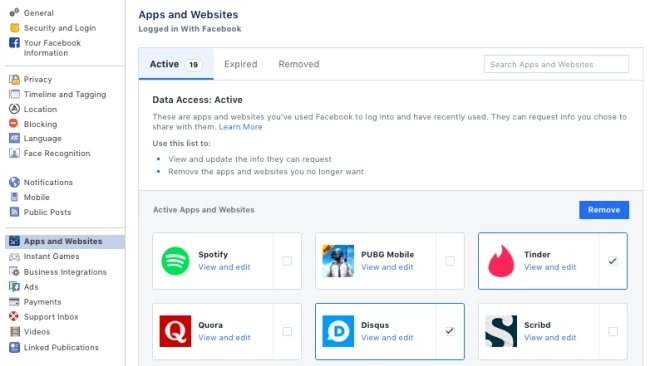 The next most important step is to disconnect third-party apps for which you used Facebook to sign up. This plays right into the 50 million user account hack as reports suggest that third-party apps may also be compromised, so it’s safe to disconnect them and update their login credentials. 1. To disconnect third-party apps, you will first need to navigate to ‘Settings > Apps & websites’ to see the list of apps. 2. Now, select the apps you want to disconnect and click on the ‘Remove’ button. A prompt asking you to confirm your choice will pop-up and you need to confirm your action. It must be noted that your data in those apps might get reset, so you might want to sign up with an email address for those apps and link your data. 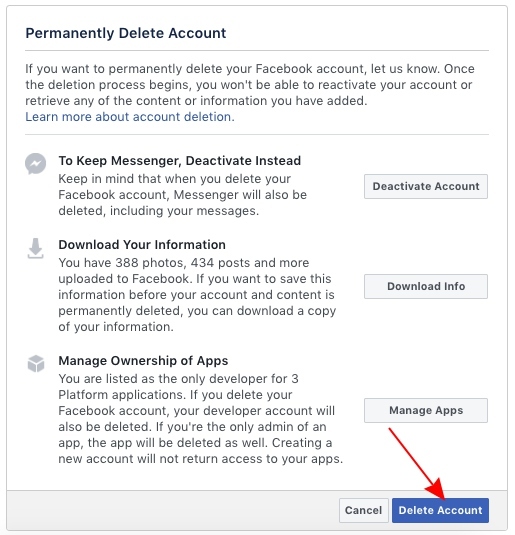 Now that you’ve completed the pre-deletion process, you can follow the steps below to completely delete Facebook. 1. Navigate to Facebook, click the ‘drop down arrow’ on the top right corner and select the ‘Settings’ option. 2. 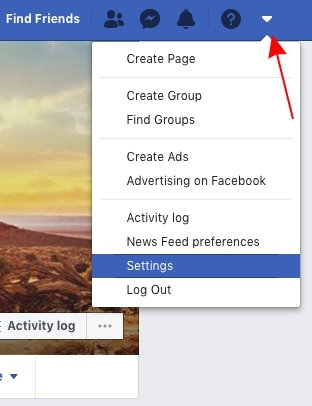 Under Settings, select the ‘Your Facebook Information’ option from the menu on the left. 3. Here you will find the ‘Delete your account and information’ option. 4. 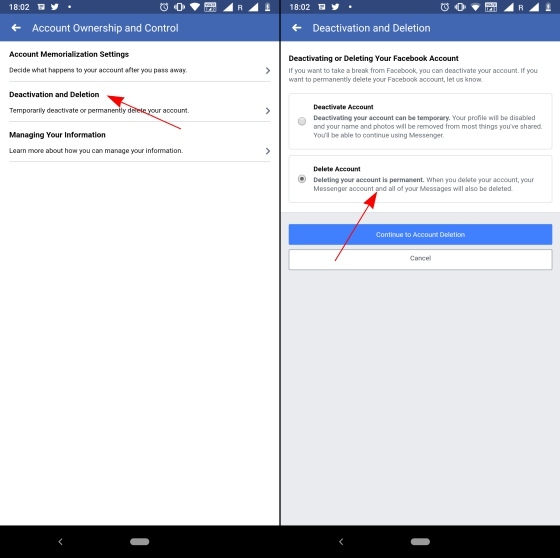 On tapping this option, Facebook will show you the ‘Delete Account’ option but will ask you to perform the steps that we’ve already talked about above. 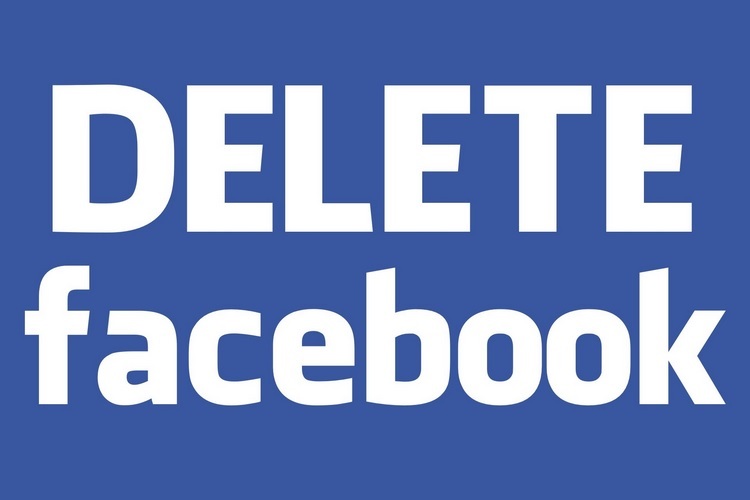 You can simply click here to go to the ‘Permanently Delete Account’ page, if you have already backed up the Facebook data. 5. 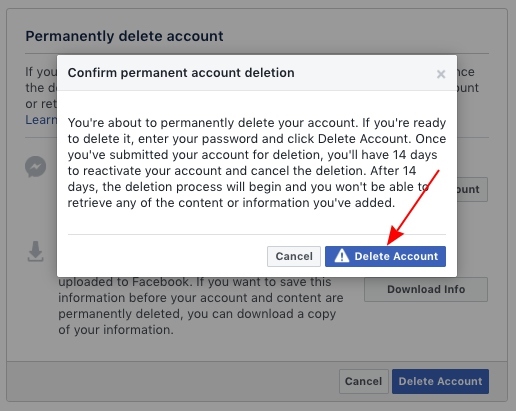 Once you tap on the ‘Delete Account’ button, Facebook will ask for your password and remind you that you’re going to permanently delete it. Just tap on the ‘Delete Account’ button with the exclamation mark to complete the process. Congrats, you have now deleted your account! 6. Finally, we would also recommend you to clear the browser cache and history so any and all web-apps logged in using your Facebook account will be automatically logged out. Note: We tried out this deletion process in the Facebook app, version 191.0.0.33.96, on our Nokia 7 plus, running Android 9 Pie. 1. 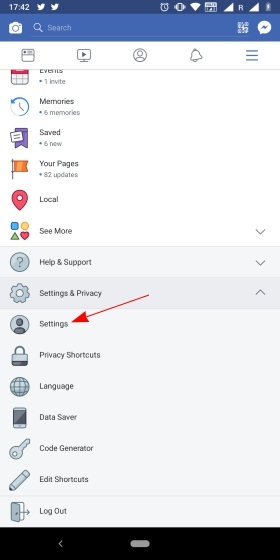 In the Facebook app, open the ‘Settings & Privacy’ menu and select ‘Settings’ after tapping the ‘three lines’ icon at the very right. 2. 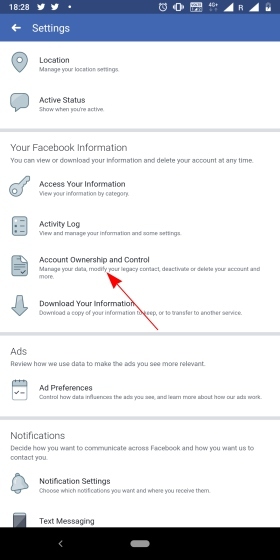 Now scroll down and tap the ‘Account ownership and Control’ option under the ‘Your Facebook Information’ section in the Settings. 3. 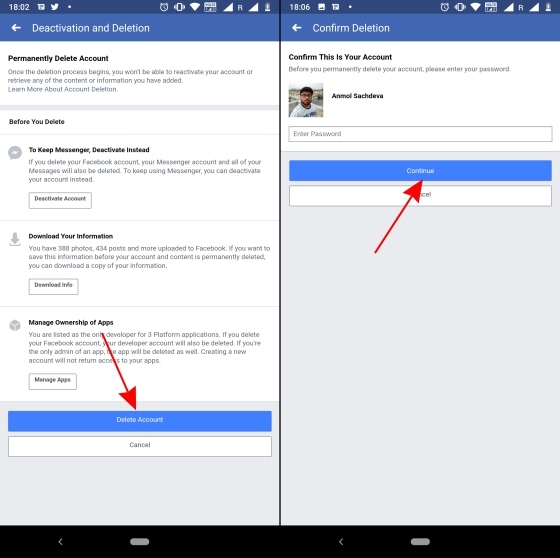 Here, tap on the ‘Deactivation and Deletion’ option and select the ‘Delete Account’ option. 4. You’ll now see the ‘Permanently Delete Account’ page that we have already seen above, so follow the steps listed above to get rid of Facebook forever. The above steps will “initiate” the process of deletion but your profile on Mark Zuckerberg’s wonderful creation won’t be removed instantly. Facebook’s support page says that you can cancel your request to delete the account within 14 days, after which “your account and all your information will be permanently deleted, and you won’t be able to retrieve your information.” It means you’ll need to be patient and try to stay away from social media for a couple weeks. Further, Facebook claims that it takes up to 90 days for all the information in your profile to be deleted from the company’s servers. This, however, will not include data such as the messages you’ve sent someone else (that they see on Messenger) and other such residual data regarding your interactions with others. Here’s to a happier life without Facebook!